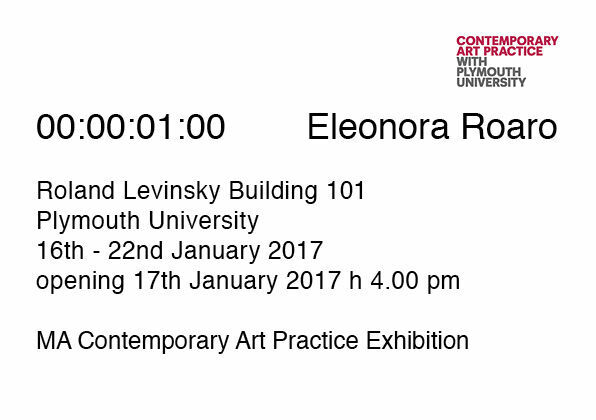 The project “00:00:01:00” is an installation of seven video-performances that last one second. The title refers to the timecode used in video production and film making, which technically corresponds to hours, minutes, seconds and frames. 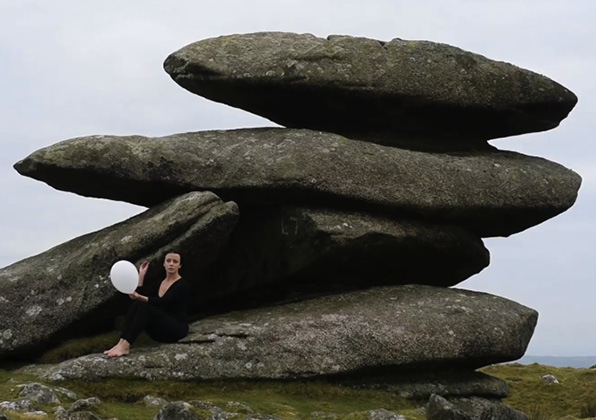 In each video the artist bursts a balloon with a needle in different prehistoric sites in Cornwall, suggesting the idea of ephemerality and fragility. This is a metaphor for geological ages: it has taken many years years for our planet to transform and grow and in just one second we are destroying everything. It links to discussions concerning the Anthropocene, an epoch characterized by the global impact human activities have had on the Earth’s geology and ecosystem. In this way Cornish sites from Bronze and Iron Age become the ideal setting to question the imaginary of ancient Britain and the idea of wilderness, which is often less authentic than we think. Indeed, not only are these sites often very close to industrial areas, but they are constructed and shaped by human activities, even though we perceive them as natural.